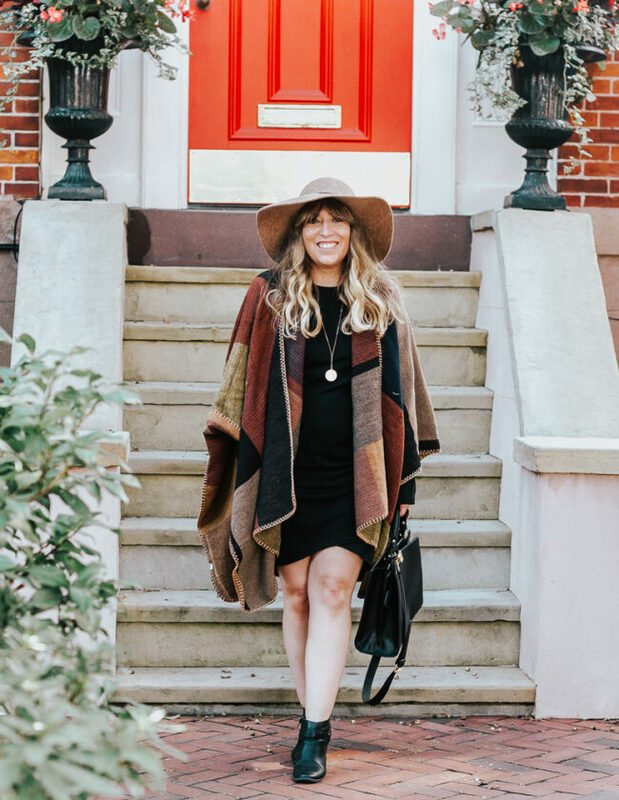 When the gals and I were in Nantucket, I wore this cute and cozy fall outfit to travel from Nantucket back to Hyannis. Between the hour long ferry ride followed by an hour long drive back to Boston, being comfy was definitely key. You’ve heard me rave about these stretchy jeans over and over… whenever I need to be comfortable, I find myself reaching for them. They just re-stocked in all different washes. As always, just remember to opt for the short/tall sizing if that fits your body type! (I always go for the short!) I’m wearing the light wash, but also have the medium wash. They’re pretty similar, to be honest. I think I prefer the coloring on the light wash. By the way, they’re on sale for only $19 so it’s definitely the time to buy! This long cardigan is super soft and affordable… only $14.90! It’s available in olive, taupe and maroon. Any would be a great addition to your fall wardrobe. I had snagged this awesome hat a few weeks back and just loved the idea of pairing them both together. 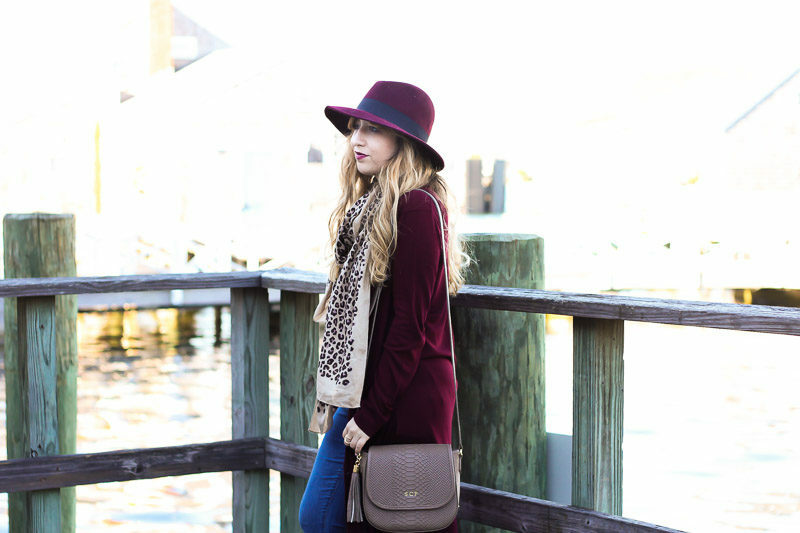 This leopard scarf provided the perfect pop of print and just gives it a playful little edge. I wear this white cami nonstop and highly recommend scooping it up in ALL of the colors. It’s just a perfect base for any look. You’ll get sooo much wear out of it and it’s only $30. We had so much fun in Nantucket! I REALLY didn’t want to leave, but was psyched to check back into our fave Boston Park Plaza for a few more nights before leaving Boston. Thanks so much for reading! I hope you had a great week! Hit the comments and let me know… what do you have planned this weekend? What’s your favorite fall color combination? ?